The complexity of the world we are living in demands permanent review and constant adaptation of its institutional framework to be up to date with the current technological trends that the world imposes. The discovery of new information technologies, among them Free Software, has become an ideal instrument to assure the preservation of the State's data. This way, technology fulfills its role of easing the different and multiple human activities, being one of them, the handling of public information. According to the Peruvian Constitution, section 5 of article 2DEG, "all persons have the right to solicit information that one needs without disclosing the reason, and to receive that information from any public entity within the period specified by law, at a reasonable cost. Information that affects personal intimacy and that is expressly excluded by law or for reasons of national security is not subject to disclosure". Section 6 of the same article emphasizes the right all persons have "to be assured that information services, computerized or not, public or private, do not provide information that affects personal and family intimacy". Having said so, it is an evident concern of our Constitution to establish institutional bases that protect the citizens' freedom on the one hand to the access of information and on the other hand to the non-disclosure of information affecting personal and familiar intimacy as well as national security. The guarantee of these rights in our Constitution is not solely based on the good will of the State's agents to fulfill the norms of the Constitution, but also based on the use of technologies that in some cases contribute, and in others do not, to an effective protection of said citizens' rights. It is in this context of utmost importance for the State to implement those technologies that help reinforce the exercise of the right of citizens' to access information and to withhold it in cases that require so. To guarantee the perenniality of public data, it is indispensable that the use and maintenace of software does not depend on the good will of the providers, nor of monopolic conditions, imposed by them. Systems can be guaranteed by the availability of the source code. To guarantee national security it is vital to have systems that are devoid of elements that allow remote control or the transmission of non-desired information to third-parties. Therefore, it is required to have systems whose source code is freely accesable to the public, so that its inspection be allowed by the State, the citizens and a great number of freelance experts in the world. This proposal provides more security, because the knowledge of the source code will eliminate the growing number of programs with spyware. In the same way, this Bill furthers the security of the citizens, both in their condition as legitimate holders of the information handled by the State as well as their condition as consumers. In this last case it would allow the growth of an extensive supply of free software devoid of potential spyware that would jeopardize private life and indivual freedoms. The State, looking to improve the quality of public administration as both keeper and manager of private information, will establish the conditions under which State agencies will acquire software in the future, that is, in a manner that is compatible with the constitutional guarantees and basic principles previously stated. The project clearly states that any given software in order to be acceptable for the State must not only be technically adequate to carry out a given task, but must also fulfill some requirements in license matters without which the State could not guarantee the citizen the adquate processing of data, the monitoring of its integrity, and the confidentiality and its permanent accessibility, all of which are critical elements for fulfillment of the project. The State establishes conditions for the use of software by the agencies of the State, without meddling in any way in the transactions of the private sector. It has been acknowledged that the State does not have the ample spectrum of contractual freedom that the private sector has, because it is restricted due to the requirement of transparency of all public acts, and in this sense the common benefit must be the leading factor to take into account when legislating over this matter. The project also guarantees the principle of equality before the Law, because no natural or legal person is excluded of the right to purvey those goods, under the conditions stated in this Bill and without any more limitations than the ones that are established in the Bill of Contracts and Acquistions of the State (T.U.O. Supreme Decree NDEG 012-2001-PCM). In addition to these advantages we could highlight the immediate benefits that would result from the adpotion of these measures. To begin with, there are the job opportunities for local programmers. Of all server software commercialized in the U.S.A. over the last year, 27% is "free" software, a truly significant portion of that huge and competitive market. The number speaks for itself and constitutes to reassure those who think that free software would imply a hefty limitation to the employment of programmers across the country. On the contrary, the inititative will allow the release of a great amount of resources, and an enticement to propel human creativity. By making use of free software, professionals can analize the root of the problems and improve the development wherever it is necessary, nurturing from the globally available free software under different licenses. It is an ideal field in which to apply creativity, and young Peruvians would be able to flourish. On the other hand, through free software we eliminate illegal software used in some agencies of the State. Both the use of illegal software inside State agencies or even the suspicion of its use are powerful incentives to make the public agents remedy this situation which goes against intelectual property rights. Even though it is correct to say that the adoption of free software is not necessary to abide by the law, its use will reduce drastically the irregular ocurrences and will act as "medium of legal infection", both in the State as in the private sector. We can count many countries that are formally acknowledging an exclusive use of Free Software in the public sector. Among them is France, where a legal norm about this subject is on debate. The government of the city of Mexico (DF) has already started an important widespread migration to adopt free software, this country being the leader in the western world. In Brazil, the state of Recife has ruled its adoption. The People's Republic of China has been using free software for several years as a policy of the state, as has been in scandinavian countries. In the U.S.A. both NASA and the U.S. Navy, among other organizations, have adopted free software for some of their needs, as have other governement and private entities. Finally, the project grants the execution of this law to the Presidency of the Council of Ministers as this is the organism that directs of all government institutions. In this sense it has an strategic advantage to carry on the given reform and the migratory process of propietary software to free software. This initiative does not imply any expense to the national treasury. However, for the fulfillment of its objectives it will be necessary to reasign governmental expenditure whose incidence confines itself to what is effectively expended by each governmental organism in the processes of contracts and bids by State for the acquisition of software. 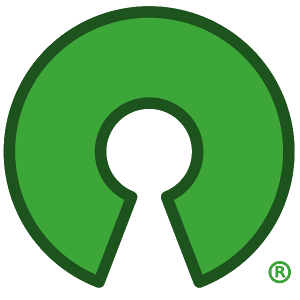 Even if it is true that free software when compared with propietary software represents a substantial savings to the economy of the State, it is not the central point for which its use is argued in this Bill. As was pointed out before, its advantage focuses on the technological reassurements that the program conveys to the information that the State handles, information that in many instances is of a reserved nature. In this sense, a better protection of the citizens' rights constitutes an unmeasureable benefit that must be taken into account from a cost-benefit analysis point of view. Disclosure Risk, confidential data must be handled in such a way that access to them is made possible only by authorized persons and institutions. Risk of impossibility of access, the data must be stored in such way that the access to them by authorized persons and institutions is guaranteed for all its period of usefulness. Risk of handling, the alteration of data must be restricted, again only to those authorized to do so. With free software all these risks are considerably attenuated. It allows the user to make a complete and exhaustive inspection of the mechanisms that are used to process data. The fact that free software allows the inspection of its sources is an excellent security measure because having the mechanisms exposed to the eyes of trained professionals makes hiding malicious functions inside it exponentially more difficult, even if the end user does not take the time to search for them. With propietary software there is no freedom of contract in the aspects of extension and correction of the system in use; a technological dependence is forged, one in which the provider is in the position of unilaterally dictate terms, deadlines and costs. Free Software entitles the user with the freedom to control, correct, and modify the program to better suit it for his or her needs. This freedom is not only aimed at programmers. Even though they are the ones who can take advantage of it first-handedly, the users benefit greatly too, for they can hire any programmer (not neccesarily the original author) to correct errors or add functionality. Proprietary software gives the user the freedom to execute the program but not to inspect it or modify it so that the user can learn from it and becomes dependent on a tecnology that is not only not understood but also one from which he or she is excluded. Those professionals who could help the user meet his or her goals is likewise limited: since the workings of the program is secret and its inspection prohibited, it is not possible to fix it. This, local professionals see that their potential for offering agregate value are increasingly limited, and their laboral horizons streatched, as are their chances for future learning. Free software greatly neutralizes these specific disadvantages of proprierary software. It is greatly reduced, because as it free there is no need to ask for additional licenses to continue using the program, which happens with propietary software. It is important for the user to be able to keep these costs under control, otherwise he might be impeded from carrying on with future goals, binded by unplanned occurences. Herein lies, once again, the technological dependence that supports free software. Exiting labor that had been been chained as a consequence of the technological dependency of the State to propietary software is freed. Now, user resources (in this case the State agencies) will be assigned for maintenance and support of free software. The cost of switching to free software is only limited to the costs associated with the migration process. Even if its true that the migration process involves costs of studying, implementing, converting the data, retraining personnel, and eventually expenses in licenses and/or development and time; it is nonetheless certain that all these are fixed costs and are payed only once. Propietary software has its costs too, which were payed and which cannot be recovered. But aside from these costs there are others involved with propietary software: constant updating (some times reinforced by a self-supported monopoly) and above all the huge price the State has to pay for the loss of the freedoms that guarantee the control of its own information. These costs are permanent, and with the passage of time, sooner or later exceed the fixed costs of carrying out a migration. To sum it up, the benefits of the migratory process exceed its costs. That sections 5 and 6 of article 2 of the Constitution protect the citizens' rights to information as they also give the sufficent guarantee to efficiently protect the non-disclosure of information when the law so states it. That being free software the most suitable technological medium to protect the afore mentioned acts, it is imperative that the State use in all its agencies said system. Employ exclusively free software in all the systems and computing equipment of every State agency. The Executive, Legislative and Judicial branches, as well as the autonomous regional or local decentralized organisms and the corporations where the State holds the majority of the shares will use free software in their systems and computer equipment. The authority in charge to execute the law shall be the Council of Ministers. Unrestricted use of the program for any purpose. Unrestricted access to the respective source code. Exaustive inspection of the working mechanisms of the program. Use of the internal mechanisms and arbitrary portions of the software, to adapt them to the needs of the user. Freedom to make and distribute copies of the software. Modification of the software and freedom to distribute said modifications of the new resulting sofftware, under the same license of the original software. The programs shall comply with the stipulantions afore mentioned in section 4 of the law, except for the free distribution of the modified program. In such a case the permit of exception could be definitive. If the no programs of the preceeding category were available, those that exist in a free project of advanced development shall be chosen. The permit in this case shall be transitory and will automatically expire when the free software becomes matures reaches the functionality that is necessary. If no products could be found that met these conditions, then propietary software could be used, but the issued permit of exception from the competent authority will expire automatically two years after it was issued, with renewal granted on the condition that there is no satisfactory free software solution. The competent authority shall issue a permit of exception only if the State organism guarantees the storage of data in open formats, without prejudice of payment for the proprietary licenses. Every State educational entity shall be allowed to apply for a proprietary software permit for research purposes, having paid the necessary rights and licenses as may be needed, as long as the purpose of the investigation be directly related with the usage of the said program. The resolution that authorizes the exception must ennumerate the functional requirements that the program must fulfill. In case some State agency cannot fulfill its requirements with software stated in article 2 of this law then it is authorized to acquire propietary software to store or process data which must be saved; the respective authority must publish in the State's portal a report explaining the risks associated with the use of the given software for a particular purpose. The exceptional permits granted to State agencies related with security and national defense are exempted from the previously stated obligation. The highest administrative authority and the technical and information technology authority of each agency of the State assumes the responsability for the fulfillment of this law. The executive branch of the government will establish, within a 180 day deadline, the conditions, deadlines and forms in which the current status quo will be changed to one which satisifies the conditions of this law, and will guide, in that sense, all future contracts and negotiations for software acquisition. Likewise, it will direct the migratory process of the propietary software systems to free software ones, in every case where the given circumstances so demand. Program or Software, as any sequence of instructions used by a digital data processing system to carry out an specific task or to solve a given problem. Execution or use of a program, as the act of using it on any digital data processing system to carry out a function. User, as that natural or legal person that makes use of the software. Source code, or source code program, as the complete set of instructions and digital source files created or modified by those who programmed it, plus all the sigital support files such as data tables, images, specifications, documentation, and any other element that is necessary to create the executable program. As an exception, all those tools that are usually available as free software in other media may be be excluded, for example, compilers, operating systems and libraries. Propietary software (non-free software), that one which does not fulfill all the requirements listed in the previous statement. Its technical documentation is publicly available. The source code of at least one complete reference implementation is publicly available. Notify the President of the Republic for its promulgation.